One of the most often used linens in our home are the bath towels. A quality bath towel needs to be absorbent, soft, durable and also attractive, properties which are determined by the material of your bath towel. Excellent breathability and fast drying power are also essential properties as bath towels are great at allowing the growth of mildew and odors if left damp for a long time. Like everything else you buy, obviously you want to use your bath towel towel for long and it should therefore be made of long lasting material not to mention be easy to wash. Size, is also an essential criterion in your bath selection among other factors. Just like Egyptian cotton sheets, bath towels made from Egyptian cotton are considered the best and superior in the textile industry. Egyptian cotton is the finest type of cotton available due to its extra-long cotton fibers that produces premium quality luxurious bath towels with a myriad of benefits that we discuss below. More absorbent than the regular cotton bath towels and other towels materials. 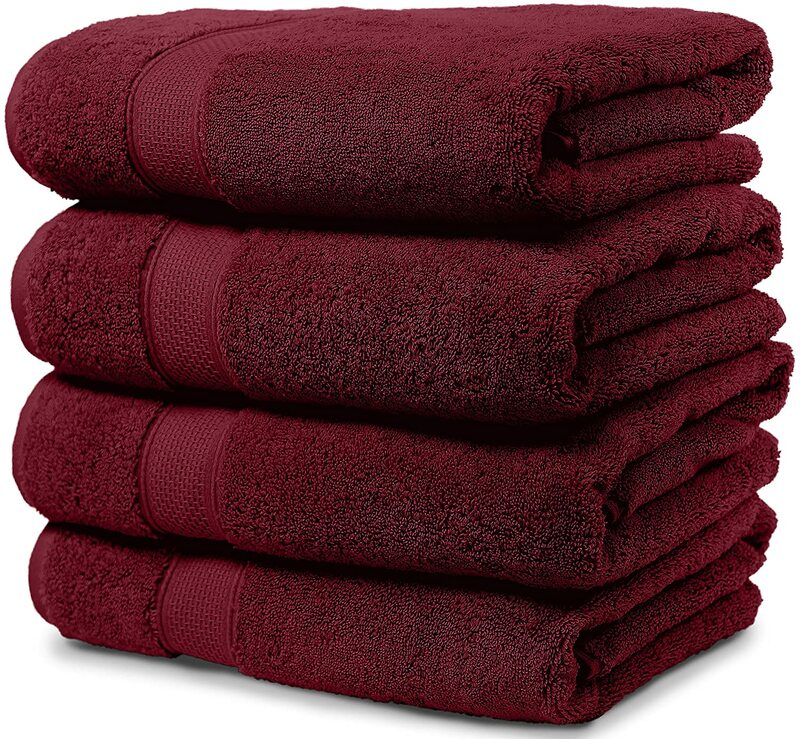 Egyptian cotton towels absorb faster and dries well. Becomes softer with each wash.
Look luxurious and feel even better on the skin. Highly durable given their superior make. Resistance to piling and fading. 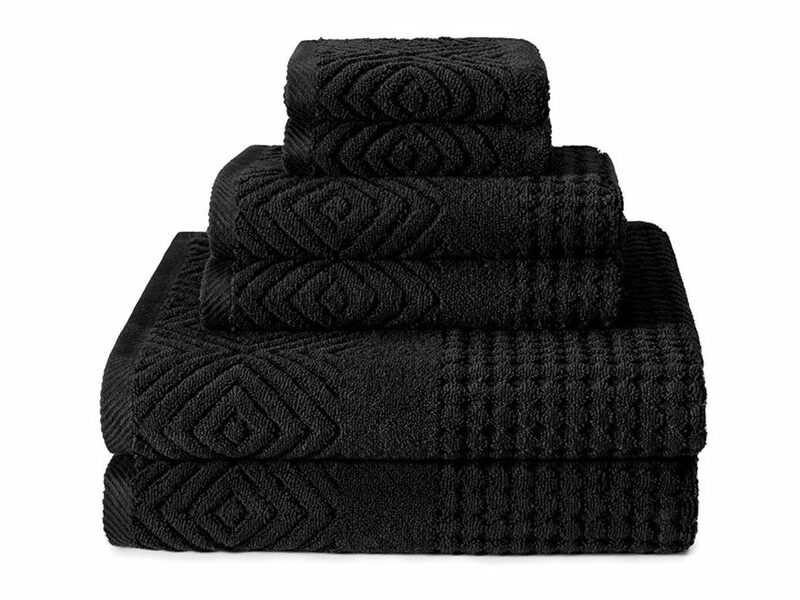 Expensive in comparison to other towels, which is to be expected given their superior quality. Not easily available, probably because of the hefty price tags. Prevalence of fake Egyptian cotton bath towels. Most what you find in the market as “Egyptian cotton bath towel” is falsely labeled. This means that before investing in cheap and fake Egyptian cotton bath towel or expensive and still a fake Egyptian cotton bath towel, do your due diligence first and buy only reputable brands or from reputable stores. Turkish cotton towels are often seen as one of the best luxurious towels to use after bathing since they don’t hold on to moisture and are not as pricey as Egyptian cotton bath towels. A good Turkish towel is soft, stylish, and they last for a long period of time. The Turkish cotton washes well. The Turkish cotton becomes softer and fluffier with each successive washing. Cotton ringspun towels are fully spun before the manufacturing process takes place. These towels are not just bright and absorbent but soft, durable and quick in drying. Multipurpose use and can be used in the gym, pool and also in the bathroom. Bamboo is a very popular material for the manufacturing of very many household items such as sheets, mattress pads and covers and other textiles and furniture. This is as a result of the eco-friendly nature of it (Organic bamboo). 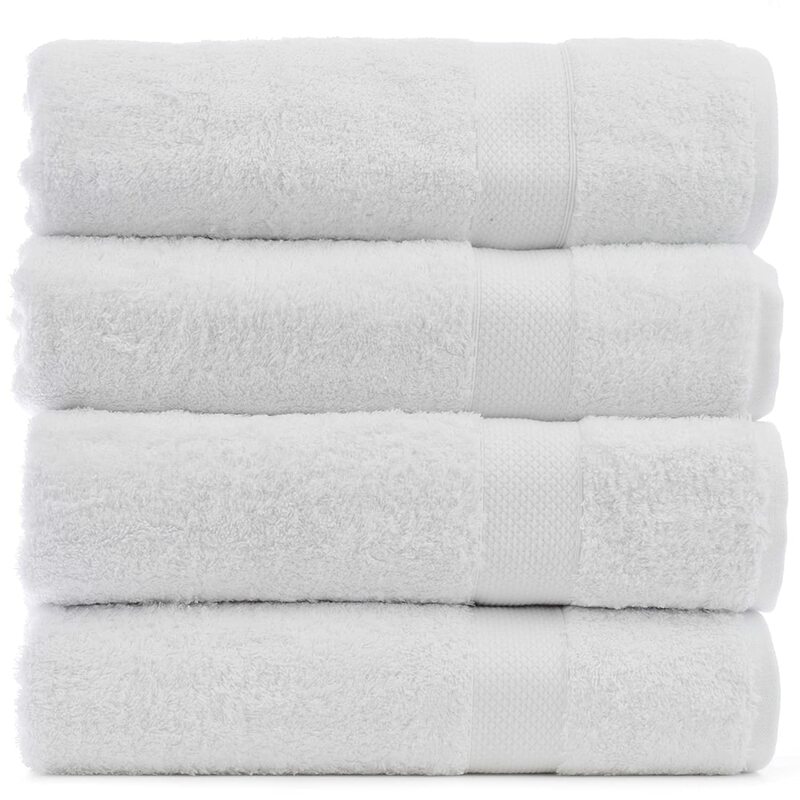 Claimed to be almost similar to Egyptian cotton bath towels but without the hefty price tag, bamboo towels have lived up to the expectation of users as seen from the reviews from past customers. Bamboo bath towel are most notably known for their ultra softness, absorbency, hypoallergenic properties and many other benefits listed below. Bamboo trees are naturally anti-bacterial, a property that is also present in towels made from the tree, making them perfect for kids. Are hypoallergenic and will therefore not allow the growth and harboring of allergens like pollen, dust mites and mildew. The fact that they repel allergens makes these towels perfect for people suffering from allergies. Are good at resisting odors. The yarn from the bamboo is often soft and likened to cashmere. The bamboo fabric is absorbent and also very breathable. Bamboo bath towels are made from a sustainable source that grows fast, is self sufficient and does not require replanting or watering once harvested. 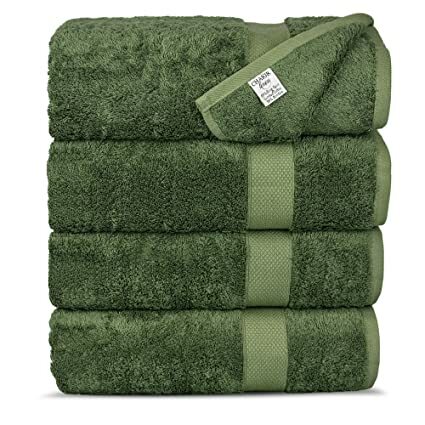 Bamboo bath towels are affordable. Most bamboo towels are a combination of bamboo and other yarns like cotton and microfiber. The organic cotton towels are manufactured under strict ecologically friendly standards without any harsh chemicals used in processing. Users value organic cotton bath towels due to their breathability and absence of chemicals in the manufacturing process. When buying organic cotton bath towels look for the Oeko-Tex certification. What distinguished these types of towels from other cotton types is that they are produced without the use of any chemical, pesticides or fertilizers usually found in commercially grown cotton. Cotton growing is resource intensive. Washing requires either warm or hot water only. Chakir Turkish Linens sell a more luxurious style of bath towels which they believe only increase in softness after every wash! Made up from 35% of natural bamboo fiber combined with 65% of superior Turkish cotton, this combination increases the overall feel and soft to the touch aspect while making these towels ultra absorbent. Soft, plush and silky, this material type surpasses all cotton offerings. With the hems double stitched to promote maximum durability, these are also made with chemical free and natural dyes which not only make them a better choice for the environment overall, but ultimately a safer option for you and your household members. 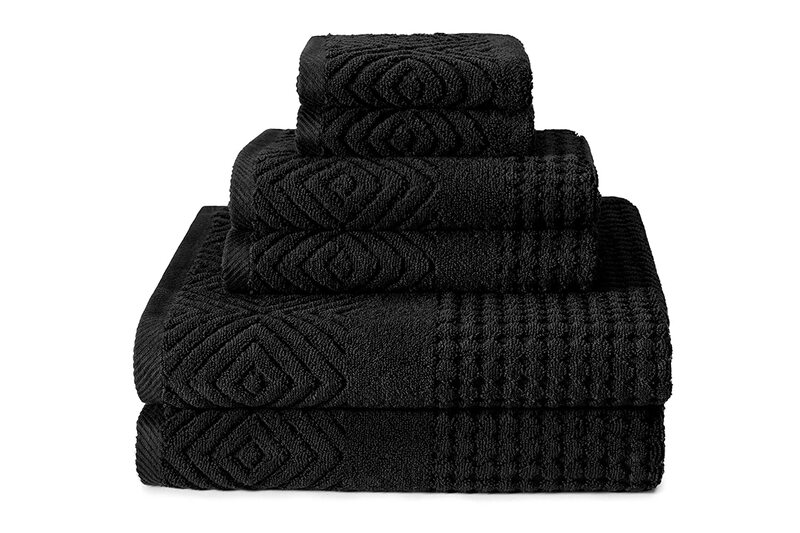 By using bamboo in their makeup, these towels are odor-resistant, anti-fungal, anti-bacterial, and mildew resilient. Available in a large selection of vibrant colors, Chakir Turkish Linens believe all customers will be content with their designs. However, they also provide a thirty-day money back guarantee merely for extra peace of mind. Customers of the Chakir towels find that they do indeed wash thoroughly and still hold their softness after many washes and are the most super absorbent of choices. Maura offers bath towel sets which they believe all customers will instantly fall in love with due to their many comforting and satisfying features! Available in a wide range of color options, these towels are woven from 100% cotton which is ring spun while the hems are all double stitched for that extra durability in construction. Ensuring that no chemicals are used during the manufacturing process, these products are all ethically farmed to provide continued peace of mind when using. Designed to last for many years, these are a slightly thicker type and therefore extremely absorbent as a result. The striking colors sold are all inspired by nature and designed to promote a sense of well-being wherever they are placed throughout the home. Machine washable and easy to care for,the towels color locks in to enable the original shade to keep its vibrancy no matter how many times it’s used. 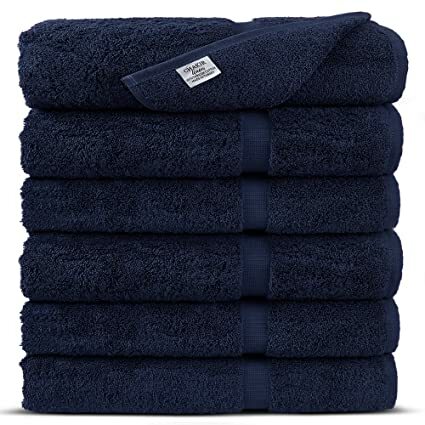 Claimed to be larger in size than most of the similar competitor towels on Amazon, these are the more generous of products. Customers of the Maura towels praise the super absorbency of them and note how vibrant the color remains after many washes. Once again, Chakir Turkish Linens offer a unique and luxury bath towel, but this time it’s a 100% Turkish Ring Spun Cotton Premium type. In a selection of beautiful warm hues to choose from, these towels are claimed to offer more in overall weight and comfort than other similar towels in the Amazon market place! Designed for additional softness all around and offering the penultimate in absorbency, they also have a double stitched hem to provide the maximum in durability and ensure a longer lifespan. With the aim of making these a more environmentally friendly choice of towel, only natural dyes are used in the makeup, and all are chemical free, ensuring they are also a healthier towel choice of all members for the family who use them. Chakir claims that all of their towels get softer with every wash, therefore the more you use these, the better their overall feel and quality. With a 30-day money back guarantee, Chakir believes you will fall in love instantly with these towels. Customers of the ring spun cotton Chakir towels find them to be as good as new after every wash, while also being an excellent choice for placing in guest rooms due to their ongoing durability. TexereSilk sells a visually stylish and super soft premium of towel types which they believe offer a more spa-like quality to every home. Made using 100% certified and organic cotton terry, which is 700 Gsm, these imported towels are Texere exclusives which can only be found through Amazon online. Sold as two pack six-piece sets, the luxury in these products continues through to the unique design with a textured stunning diamond patterning, as well as ribbed and hemmed edges. To finish off, there is a diagonal twill weave. Soft and highly absorbent, these can be carefully machine washed and provide many years of use. All Texere towels are certified to Oeko-Tex standards which means no chemicals are used in the dyes, and the organic cotton used meets all environmental and health safety standards. TexereSilk also ensures that the bags these towels are packaged in are also non-toxic and free of any chemicals. Customers of the Texere towels find these a thoroughly plush and absorbent towel type which are wonderfully thick in size and substantial in construction. Chakir Turkish Linens offer another choice of towels which this time are the same as those used in the most prestigious and five-star hotels and spas! Combining 35% of natural organic bamboo rayon with 65% of Turkish cotton, these imported towels are the ones you will find in the most luxurious of hotel and spas and those which resemble such softness and silkiness in the comfort of your own home. The feel of cashmere has a higher absorbency in their make up here that surpasses that of any cotton towel, while they remain soft, plush, and silky even after repeated washing. Using only those natural materials throughout their design, these towels are entirely free from any harmful chemicals and synthetic materials. This makes them suitable for all members of the family to use. Available in a set and in a brilliant white hue, Chakir offers a daily luxury at an affordable price. Customers of the Chakir Hotel and Spa towels find them to be excellent at absorbing while continuing to offer luxury softness after every wash.
Bath towels are essential items for the home and can liven up many a bathroom area through their vibrant selection of colors and luxurious design choices. Ultimately, the best bath towels will be able to provide super absorbency each time you use them while remaining as good as new after every wash, ensuring they last for many years to come. Next Post:Mattress Pad Vs. Mattress Protector, What is The Difference?